Repentant members of the Boko Haram sect have pleaded with Nigerians to forgive them for their nefarious activities over the years. The repentant sect members made the appeal after their graduation from a de-radicalisation exercise and vocational training organised for them by the Federal Government which took place at the former permanent NYSC Orientation camp in Mallam-Sidi town in Kwami Local Government Area of Gombe State yesterday April 3rd. 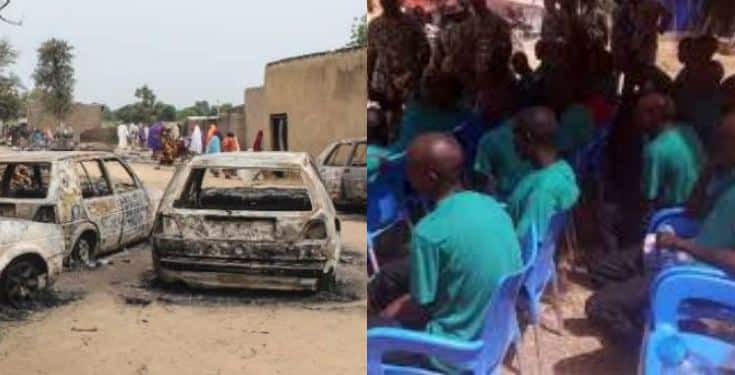 In the same vein, a 62-year-old ex-Boko Haram member, Abana Ali, said he was sorry for everything, noting that they were also terrorised while with the sect until the army came to their rescue. “I am deeply pained in the heart that we had been associated with such a devilish group; I beg Nigerians to forgive and accept us back. We were deceived and forced to join the sect; because of my age, I was not allowed to partake in their operations, but was made to do menial jobs in their camps; we were also terrorised and enslaved, until the Army rescued us.